iManage was included in the FTIL Intelligent Business Awards, Legal Technology Top 10 for providing the greatest impact on the practice and business of law. The Financial Times listing was included as part of its annual Intelligent Business report which highlights the convergence of legal and professional services with data and technology to solve operational challenges for business and release significant economic value. iManage was further cited in the FT Intelligent Business 35, a list of the best performing organizations that are integrating legal and professional services with data and technology to solve operational challenges. 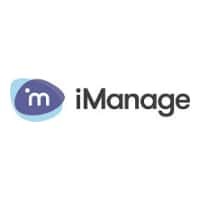 iManage was recognized for its legal technology, managing legal costs and legal data.